Read developmental milestones your child should have already reached here. With back-to-school coming up REAL soon, I picked up this super cute dino backpack with matching lunchbox. It's such an adorable set! 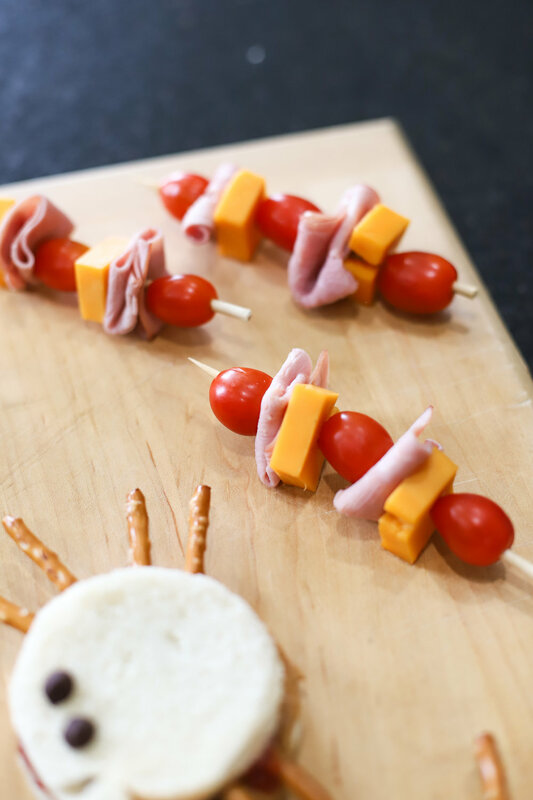 I've been getting more creative with lunch ideas for Aimery, and decided to make these PB&J spiders, meat and cheese kabobs, and celery snails! I'm also going to throw in some yogurt for him to eat on the way to preschool in the morning since it's a long drive! I swear Aimery eats his weight in yogurt every single day. Read how I make week days easier as a single mom here. The PB&J Spiders are so easy to make and Aimery LOVES them! I start by taking a round cookie cutter to make circles in two pieces of bread! A top of a cup would work well, too. I then make a PB&J sandwich out of the cut bread and put 4 pretzel sticks between the bread on each side to mimic spider legs! Top with two chocolate chips for "eyes" and toss into a sandwich bag or plastic container for lunchtime! Read how we make smoothie bowls at home here. For the meat and cheese kabobs, I cut kabob sticks in half and add half slices of ham, cubed cheddar cheese, and cherry tomatoes! It's a fun snack to toss in your kid's lunch bag for extra protein! These celery snails are SO cute! To make them, I cut a piece of celery in thirds and then add peanut butter on the top. Top with an apple slice, pretzel sticks, and chocolate chips for the eyes! I love getting creative with back to school lunches! 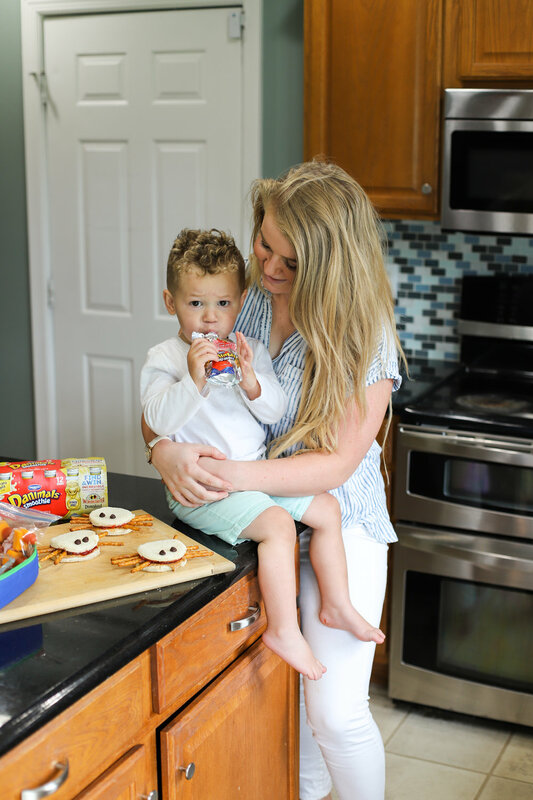 Comment your favorite recipes that your kids love below!